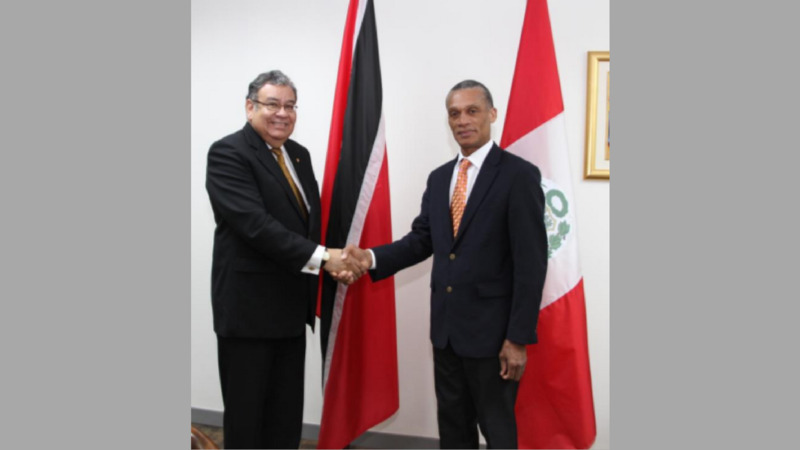 Trinidad and Tobago was recently commended for its role in the reinforcement of democracy in Latin America by His Excellency Luis Rodomiro Hernández Ortiz, the newly appointed Ambassador of Peru to Trinidad and Tobago. Hernández Ortiz also highlighted Peru’s readiness to work with Trinidad and Tobago in this effort at a multilateral level. 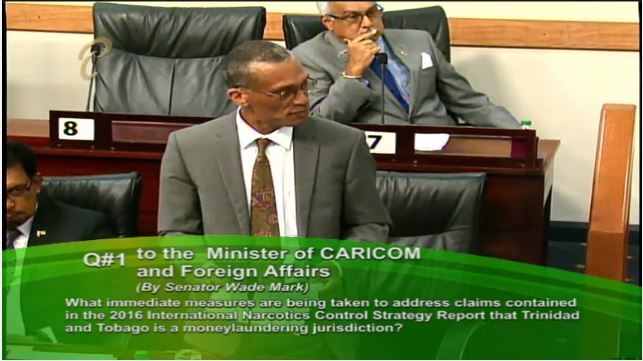 These sentiments were expressed to Minister of Foreign and CARICOM Affairs Dennis Moses during a courtesy call at the Ministry May 23. The courtesy call on Minister Moses preceded Ambassador Hernández Ortiz presentation of his Letters of Credence to President Anthony Carmona. During the meeting, Minister Moses indicated that Trinidad and Tobago appreciated the resident presence of Peru, which is a demonstration of the commitment to pursue joint efforts and to facilitate cooperation between the two countries. He further highlighted that Trinidad and Tobago and Peru shared commonalities, upon which bilateral initiatives could be advanced for the mutual benefit of the peoples of both countries. Regarding the strengthening of bilateral relations, Ambassador Hernández Ortiz commended his predecessor for setting a solid foundation that permitted him to continue in a seamless fashion. He further stated that he hoped that his extensive experience as a diplomat would assist in advancing mutually beneficial bilateral cooperation. The meeting ended cordially with both parties looking forward to further discussions.